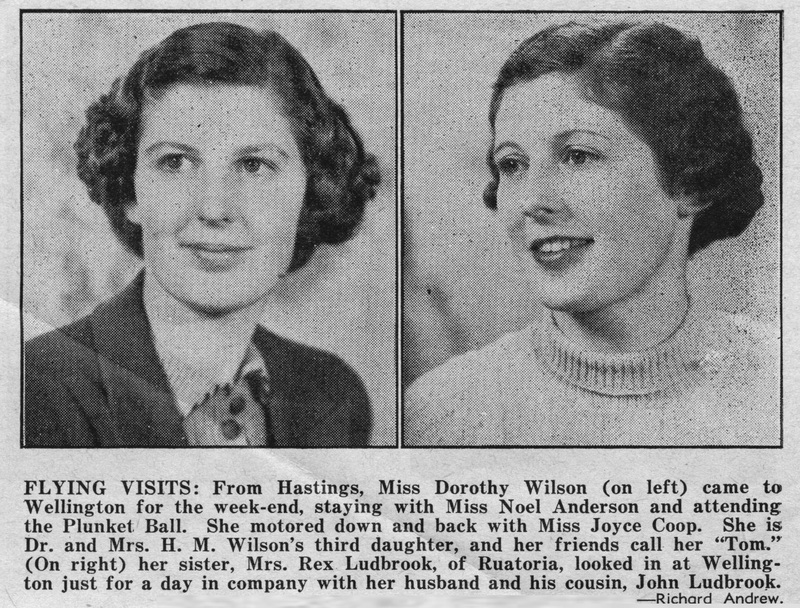 FLYING VISITS: From Hastings, Miss Dorothy Wilson (on left) came to Wellington for the week-end, staying with Miss Noel Anderson and attending the Plunket Ball. She motored down and back with Miss Joyce Coop. She is Dr. and Mrs. H. M. Wilson’s third daughter, and her friends call her “Tom.” (On right) her sister, Mrs. Rex Ludbrook, of Ruatoria, looked in at Wellington just for a day in company with her husband and his cousin, John Ludbrook. – Richard Andrew.